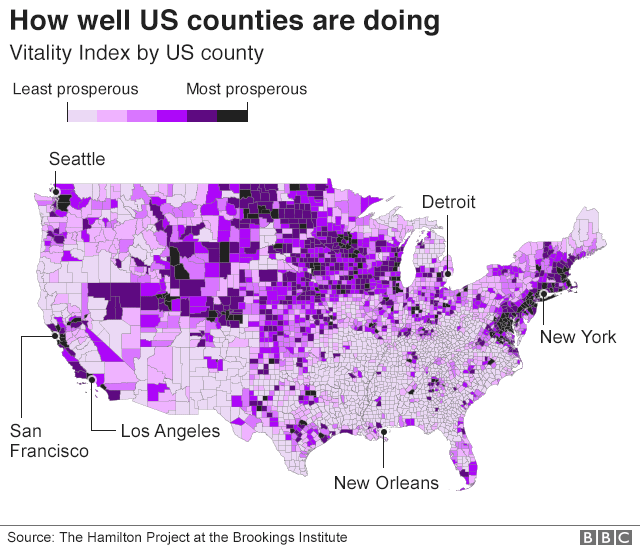 How’s the economy in your county? …We consider five factors — population density, the degree of industry concentration, the manufacturing share of employment, the share of those without a high school degree, and the share of college graduates — that help explain both vitality and its change over time. In total, these five factors explain 71 percent of the variation in vitality across counties in 1980, and 66 percent of the variation in 2016… They are also helpful in understanding the change in vitality across counties over time. Please RTFA. Well done, even with the conservative bent of the folks at Brooking. A chance to learn and reflect.